The start of the prototyping phase is to fabricate the parts of the design. 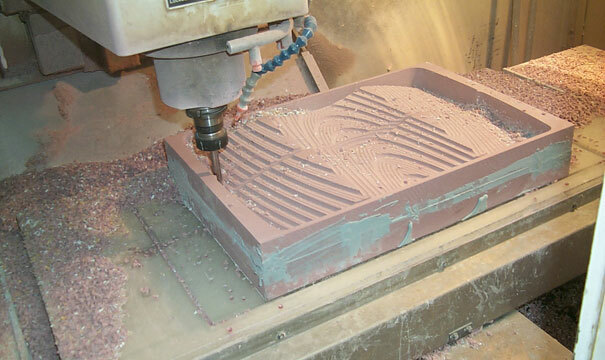 To do that, we utilize a variety of prototyping methods including CNC and hand machining, rapid prototyping directly from the CAD files, metal forming and welding, castings and various finishing techniques. Where possible we use the same material as the production unit to give more realistic and repeatable test results. In the photo above, the front bezel for the Reliant product is being machined.